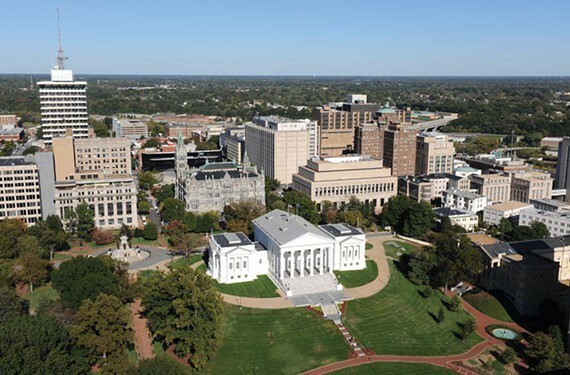 Proposed Virginia Law Would Define Sanctuary City, Open Richmond to Liability | News and Features | Style Weekly - Richmond, VA local news, arts, and events. Richmond hasn’t declared itself a sanctuary city, but a proposed state law may hold it liable for certain crimes committed by undocumented immigrants within its limits. Voting against the bill, Richmond-area Democratic Sen. Jennifer McClellan expressed concerns about the legislation’s effect on local police officers’ investigations. Such a position also opens the city to broad liability, she says. The other Richmond senator on the Local Government committee, Republican Glen Sturtevant, voted for the bill. The 7-6 vote followed party lines. The Richmond Police Department referred questions about policies to the mayor’s office. But Police Chief Alfred Durham told the Richmond Times-Dispatch on Monday that it isn’t department policy to ask the immigration status of people they encounter. That rule may open Richmond up to claims by people injured by or with property damaged by undocumented immigrants, according to people testifying against the bill. This legislation follows an executive order from President Donald Trump last week denying federal funding to cities that offer “sanctuary” to undocumented immigrants. Hundreds of people rallied in front of the federal courthouse on Broad Street on Monday night in support of keeping federal immigration enforcement out of Richmond.